Neutron RDA by Wismec will bring you large vapor and great flavor thanks to precise top airflow adjustable and wide-open wicking system. 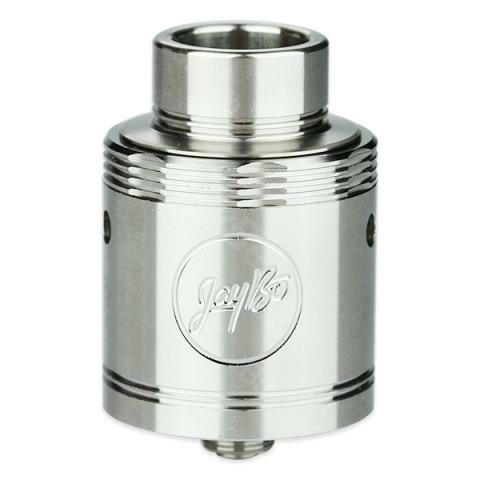 The atomizer is detachable for easy cleaning and maintenance. Neutron RDA by Wismec will bring you large vapor and great flavor. Neutron with outside diameter of 25mm is a durable rebuildable atomizer thanks to the stainless steel material and is detachable for easy cleaning and maintenance. It’s featured with wide open wicking system so that you can change the atomizer base with our equipped accessories between base for coils in series and base for coils in parallel, fixing the premade or selfuilt coil to your preference. The precise top airflow adjustable will satisfy your different vaping needs. 1. Two kinds of atomizer base are available, one for coils in series and the other for coils in parallel. The user then can fix the pre-made or self-built coil with cotton. After fixing, cut down the spare coils. 2. Drip a few drops of e-juice directly into the coil and cotton to make them fully saturated before use. 3. Put the airflow control ring on the tank, and put the top cap on. 4. Put the complete upper part on the atomizer base and then the whole atomizer is assembled. Unplug the top cap and drip some e-juice into the juice well directly. After filling, fit on the top cap again. By rotating the top airflow control ring clockwise or counterclockwise, you can adjust the airflow and get different vaping experience. • It's an empty tank, you still need order e-juice e-liquids to use it. WISMEC Neutron RDA Atomizer is as good as a US$100+ ones in flavor and vapor. Das Preis des WISMEC Neutron RDA - Leistungsverhältnis finde ich super, denn richtige Zigaretten sind teurer.